There was no need to worry because director-star and scriptwriter Chiwetel Ejiofor has ensured that there’s enough realpolitik about, in this case, rural Malawi that the uplifting ending can’t disguise the privation suffered by the people. The film is based on the titular hero’s book and we duly get the end credits filling in what happened to William Kamkwamba next. But the journey there is truly tough as Ejiofor ensures we understand the problems of education, politics, climate change and capitalism that beset the village community. Most striking of all is the need for free education for all children. Even if you never met Peter, if you are a film fan living in or near Leeds, then you owe him a heartfelt thank you. 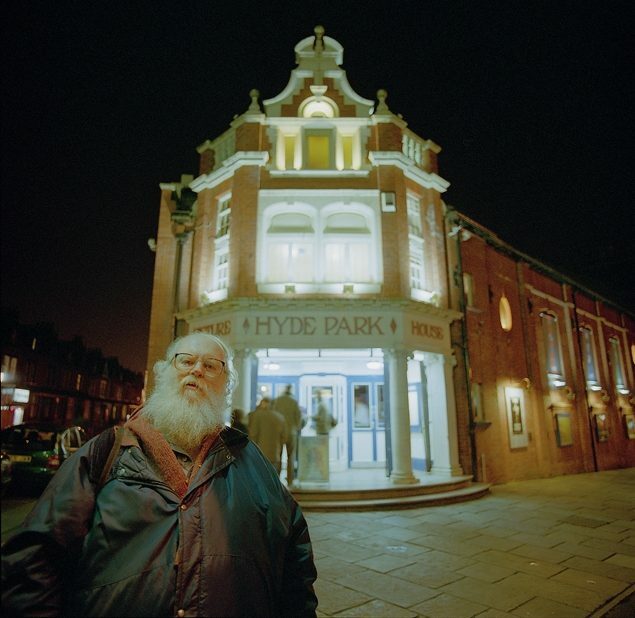 Peter was one of the trio of filmgoers who, in the early 1980s, founded The Friends of the Hyde Park Picture House. Xavier Chevillard was for many years the treasurer for the Friends. Bob Geoghegan was a member of the Friends’ Committee for years. It was the friends who were instrumental in saving the cinema when the owners, the Robbins, decided to close. They campaigned successfully for the Leeds Council to rescue this local landmark and cultural venue and it subsequently became part of the Grand Theatre Trust. It was the Friends, as part of the activities to support the Picture House, who persuaded Leeds Leisure Services, Yorkshire Arts and Yorkshire Television to support a Film Festival in Leeds, The first festival was organised by Bob Geoghegan together with a BBC colleague Janice Cambell. The Festival has continued and has become Leeds International Film Festival, held in November each year, and a notable event in the British Film calendar. For many years Peter was secretary of the Friends; then in 2008 he took over as Chairperson, a post he retained until he died. He chaired all the meeting, including the Annual General Meeting held at the Picture House, in his own imitable style. From small beginnings the Friends developed alongside the cinema. When the Friends was formally constituted in 1986 it had about a 100 members. Now the membership runs at over 500. The Friends have also become a registered charity in order to improve their ability to support and fund-raise for the Picture House. Over the years the Friends have supported and helped the Picture House develops its facilities and its programme. In the early 1980s they assisted when the current stage was added to the proscenium. In recent times they have provided funds to add to the digital technology used in projection. And the Friends also provided the pump-priming funding for the project, now funded by the Heritage Lottery Funds, to redevelop the Picture House. This will lead to a second screen in the old basement; proper facilities for the audiences: and (after years of such suggestions) the addition of a cafe/bar alongside the front of the Picture House. The Friends’ membership have been active in other ways. For years they published a regular newsletter, ‘Hyde & Seek’. And they also commissioned and published a history of the Picture House; if you are interested there are, I believe, a few remaining copies. There have (intermittently) been social events, discussions on cinema and films, and extra screenings at the Picture House. An early event in the 1980s was a screening of D. W. Griffith’s Hearts of the World (1918 and starring both Dorothy and Lillian Gish) with a musical accompaniment as part of a World War I commemoration. Another memorable event was Derek Malcom from The Guardian interviewing Peter Ustinov. And, of course, there was also a ‘Laurel and Hardy evening’. For a period there was a monthly film club with fine examples of popular, art and independent cinemas. Included in the programme was the ever-popular The Apartment (1960), a film that has returned several times to the Picture House. There was also the classic British noir Brighton Rock (1948). Among the foreign language titles was the final film in Satyajit Ray’s great trilogy The World of Apu / Apu Sansar (1959). Now there are regular Friends screening; in June (to accompany the AGM), on Yorkshire Day on August 1st, and in the Christmas season. And they have a set of webpages for information, reports and film reviews. Peter was an ardent cineaste; his favourite genres being horror, fantasy and super-heroes. He was a regular attendee at the now-defunct Horror/Fantasy weekends at Bradford’s Media Museum. He was also a fan of traditional cinemas. He had in earlier days been a viewer at the Lyric and Lounge Cinemas, both now gone. In recent years he patronised the Cottage Road Cinema, The Hebden Bridge Picture House and the Rex, Elland (near Halifax). As well as offering the charms and pleasures of traditional auditoriums all these cinemas still have and still use 35mm projection . Peter will not be here to enjoy the facilities of the new developments of the Picture House, likely to be ready by the start of 2021. It is though, in a way, appropriate in that the as-it-is-now Picture House and Peter will pass on close to each other. The Friends intend to mark Peter’s contribution to the ‘new’ Picture House with a sponsored seat in the auditorium, in the place where Peter himself had a favourite spot. Before that the screening following this year’s AGM will feature a title from his favourite genre, ‘Let the Right One In’, (the original Swedish version not the unnecessary Hollywood remake). Gone but not forgotten. Peter will be cremated at Cottingley Hall Crematorium on Thursday April 18th and there will be a celebration of his life at Christ Church in Armley, Leeds on the 18th at 12.15 p.m. This low-budget, low key film about female police officers in Delhi lingers in the mind. Written, directed and edited by Chandigarh-born, and American educated, Ivan Ayr the film has an observational documentary quality that downplays potential drama; in one scene, the protagonists listen to corrupt cops extracting bribes. It is shot from their distant perspective and this serves to drain the drama but at the same time maintains a realist viewpoint. By subverting genre expectation, we expect the good cops to sort out the bad ones, the film signifies its realism. This is further reinforced by the use of sequence shots throughout; all the scenes are shot in one take. Soni (Geetika Vidya Ohlyan) is a cop with a temper; she’s used as bait on the streets of Delhi to trap men who sexually abuse women. Her superior, Kolpana (Saloni Batra), tries to rein her in whilst protecting her from her the police hierarchy. Key to the film is the developing relationship between the women which is more important than the cop narrative. Both the actors are newcomers (it’s Ohlyan’s first film and Batra’s first feature) and they stand up very well to the strains of the long takes. Vikas Shukla is superb as Soni’s ex-boyfriend who’s trying to wheedle his way back into her affections. David Bolen’s cinematography is excellent capturing the urban night-time wasteland of the streets that serves as Soni’s workplace. I was surprised the film was authored by a male as he seems to me to capture a female point-of-view with great authenticity. He researched the police procedure thoroughly but also portrays the position of women, even putatively powerful ones as police, in patriarchal India. Radio news reports punctuate the soundtrack about having the apartheid of women-only public transport to protect them against men. At the film’s conclusion it’s clear that the film argues that the nepotism of Indian society has to change in order for there to be a fundamental improvement in the lot of women. Ayr takes on not just the would-be rapists and the boys who know their influential parents will protect them should they get into trouble. Kolpana’s family gently hint that she’s not getting any younger (she’s 30) and so should be having children. The insistence on motherhood must, for some, become a stultifying bind and Batra subtly portrays her character’s frustration whilst trying to avoid confrontation. The film was celebrated at some film festivals last year but not distributed in cinemas in the UK. It’s ‘washed up’ on Netflix. This is a fascinating film which raises a number of the ‘global film’ questions that we like to explore on this blog. The film is directed by the team of Cristina Gallego and Ciro Guerra who will be familiar to UK audiences because of the wide success of their previous production, The Embrace of the Serpent (2015). 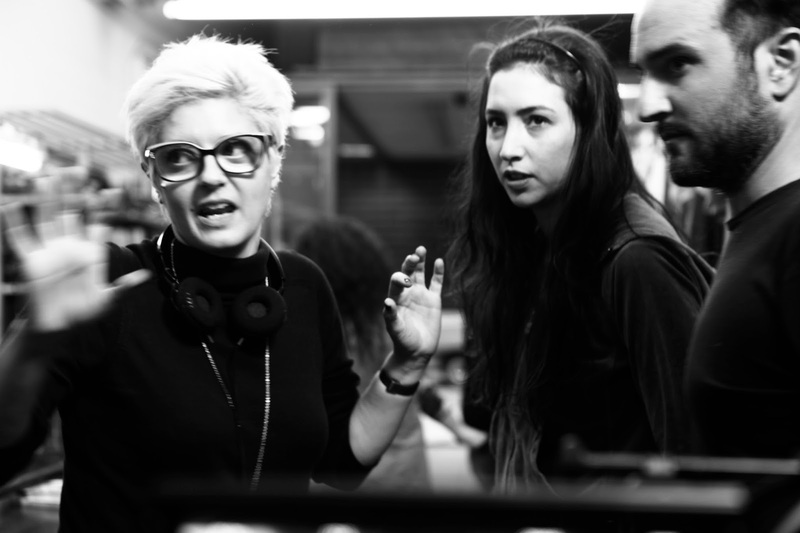 The gossip seems to be that the couple have now split up and I wonder how significant it is that Cristina has a joint directorial credit on this film – whereas she was the producer on the previous film. Just as in 2016 when the previous film appeared in ¡Viva!, this was a preview screening and the film will get a UK release through Curzon on 17 May. For me, it’s a film noir, a gangster movie. But it can also be both a Western, a Greek tragedy and a tale by Gabriel García Márquez. It’s a metaphor for our country, a family tragedy that is also becoming a national tragedy. Speaking of the past, it allows us to better understand where we are today as a country. The scenery of Guajira is very picturesque, with wide desert plains and green, foggy mountains. The indigenous people of this desert/mountain region are the Wayuu. Under colonial rule, and after, the Wayuu were subject to missionary pressure to convert to Catholicism but in recent times they have been allowed to practise traditional rituals without interference. The Wayuu have always resisted centralised control over their affairs. The film narrative is set at a time when there might be priests around (much as in Sembène’s Ceddo (1977) but they don’t appear in the film. At times it is difficult to believe that this film is set in the 1970s – until we see the Land Rovers and Jeeps. 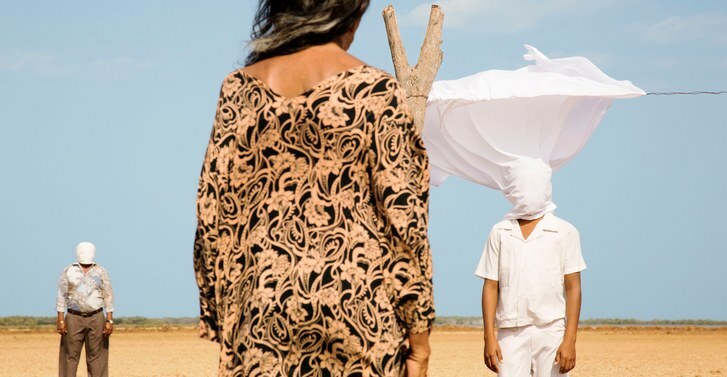 The narrative begins with a meeting of a Wayuu clan in which a young woman, Zaida, who has been confined for a year is brought out to celebrate the moment she has become a woman. She performs a rapid dance with her younger brother and then he is replaced by a stranger, a grown man known as Rapayet. By taking a role in the dance Rapayet (who is also Wayuu) has suggested he is interested in marriage. But this requires a ritual proposal and Rapayet’s uncle Peregrino is an accepted negotiator. A bride price/dowry is agreed in the form of goats, cattle and necklaces. So far, so traditional. For us as the audience, the inciting incident is a chance observation by Rapayet and his business partner of a trio of Americans who we learn are associated with the ‘Peace Corps’ and who are distributing anti-Communist propaganda in the form of playing cards. They are also on the lookout for marijuana for which they can pay in US dollars. Immediately we know that tradition has been undermined by modernity, capitalism and American culture. Rapayet will buy the crops grown by his cousin in the mountains and the Wayuu clans will grow rich. I won’t spoil the narrative any further. Instead I’ll just outline one or two of the other elements. The bride’s mother Úrsula turns out to be some form of spirit messenger who foresees the tragic events ahead (often via the appearance of certain birds – hence the title). She is also a formidable leader of her clan – to which Rapayet has now pledged himself. What follows is visually dominated by the stark contrast between the semi-desert lands where Úrsula’s clan are settled and the lush tropical hillsides where Aníbal, Rapayet’s cousin, has his house and fields. The second important element of the narrative is the deadly way in which the greed of criminal capitalist enterprise will join with/poison the traditional relationships between clans. This means that once a dispute begins it is almost impossible to end it peaceably. The narrative resolution which I won’t describe does return us to the use of traditional storytelling, although sadly it is too late to compensate for all the damage that has been done. In all the carnage of the second half of the film, the Colombian police appear fleetingly and only to take their cut of the drugs business. Now, several days after the screening, I’ve only just realised that the time period in the second half of the 1970s was a violent time in much of South America and the period of the first two organised crime groups involved in the Colombian drugs business (although by this time it was cocaine rather than marijuana that was being exported to North America). The internal wars in Colombia (which involved both the drugs barons and leftist guerrillas) don’t appear in the narrative which seems to be almost timeless and also completely cut off from the rest of the region. It’s true that the peninsula is the most isolated part of Colombia, but it still feels odd. Ursula (Carmiña Martínez) is a formidable leader of her clan. The film’s casting does appear to have posed some problems for the filmmakers. I assumed that the largest proportion of the Colombian population was, as in many Latin American countries, mestizo – the result of inter-marriage between European colonists/settlers/migrants and indigenous peoples. This appears to be the case but, as in Mexico, there are different ways of estimating and defining the proportion of mestizos and that of ‘Europeans’. In most of Colombia, the indigenous populations are relatively small except in the peninsula and some border regions of the south. African-Colombians tend to be concentrated in the Caribbean coastal regions. While some of the actors did appear to be indigenous and possibly Wayuu, others were more European in appearance. The Wayuu use the word alijuna which I understand to simply mean ‘outsiders’ or ‘strangers’ – i.e. ‘not Wayuu’. It was this that I found a little confusing and I wasn’t sure if ‘marrying out’ meant being cast out of the community. 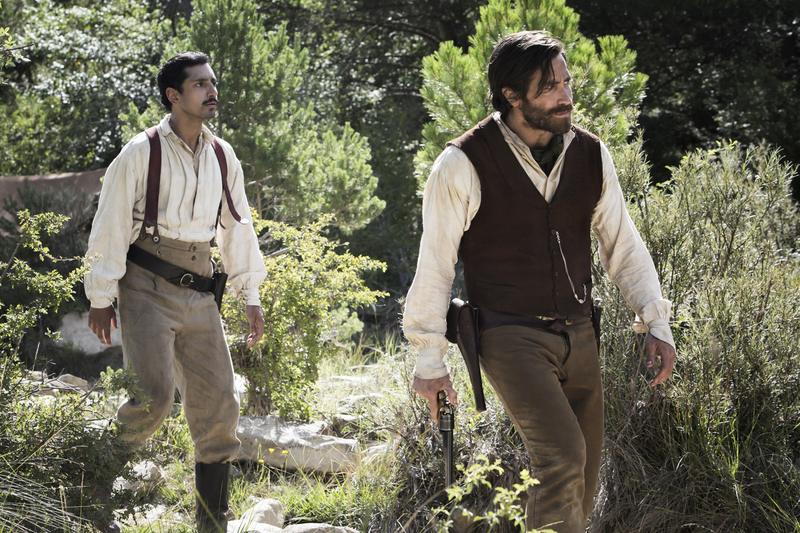 My concern is that the principal characters (who are all professional actors) appear more ‘European’ than indigenous (though the Press Notes reveal that both Carmiña Martínez and Jose Acosta have Wayuu roots in the family histories). The only African-Colombian character of note, Rapayet’s business partner Moisés, is a loud and aggressive character and I assume that his treatment by the Wayuu is more to do with his personal characteristics than any racial prejudice. The film doesn’t really clarify any doubts about this. I’m left wondering what I made of the film. Part of me is worried that the genre conventions of a clan war dominate the film too much and don’t allow enough of the unique geography and sociology/ethnography of the region to be fully appreciated (and it must have been a very difficult production to shoot). I fear the ‘City of God‘ syndrome and the over-promotion of the gangster genre so that the film becomes a cult hit based on its genre qualities. On the other hand perhaps there is enough suggestion about traditions and rituals of the Wayuu and the ‘spirituality’ of Úrsula and her family to keep us interested in the cultural questions. The filmmakers themselves have positive reasons for making the film this way and perhaps they are reaching a local audience? It’s what happens in markets like the UK that worries me. Curzon as a distributor used to be quite good with films like this, making available press materials. This time there is relatively little I can find (but perhaps more will appear before the actual release?). At the moment, the language of the film is given as ‘Spanish’ – but much of the dialogue is actually in the local Wayuu language. I found watching the film was a very intense experience with the dramatic landscapes photographed by David Gallego. Gallego photographed The Embrace of the Serpent for the same filmmakers, but he was also responsible for the photography on I Am Not a Witch (2017) which would have taken him to Zambia, so perhaps my suggestion of an African feel about some images is not too outlandish? I enjoyed the music by Leo Heiblum and the sound design by Carlos García. Both are very strong in eliciting an emotional response and the film worked very well in the big screen in HOME’s Cinema 1. When it comes out, find the biggest screen you can. 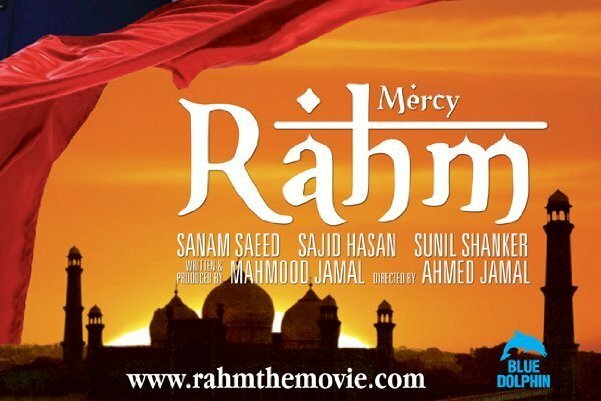 Rahm (Mercy) is an impressive independent British-Pakistani film that was well received by the few critics who gave it attention, but it did not perform well at the box office, probably due to problems with distribution and publicity. It was the producers’ first film to be released in Pakistan and has been on wider release – notably in Britain and France – but deserves a much wider audience. It’s a clever, compelling adaptation of Shakespeare’s Measure for Measure but I want to stress that you neither need to know the play nor be a Shakespeare lover to enjoy it. It tells the story of a wise but overly lenient Duke who falls ill and puts his zealous, puritanical deputy in temporary charge. The young deputy imposes new draconian punishments for immorality and condemns a man to death for fornication, to be spared only if his devout sister submits to him sexually. The tale has been transposed to an imaginary modern-day Lahore, Pakistan’s cultural capital, ruled by a governor who has allowed vice in the form of brothels and corruption to run riot. The central characters are impressively played by accomplished Pakistani actors. 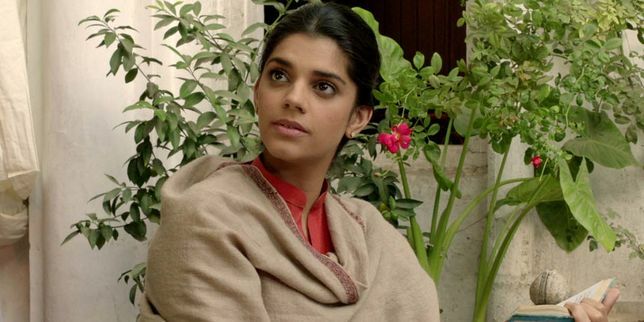 Sajid Hasan brings the right degree of kindly gravitas to the role of governor (Duke), Sunil Shanker captures the sinister charisma of Qazi (Angelo), Rohail Pirzada the human weakness of the condemned brother Qasim (Claudio) and Sanam Saeed the pious passion and dignified self-control of his sister Sameena (Isabella). It’s a play I’m very familiar with, having studied and taught it at college level. Though fascinating in terms of themes and characters, it is categorised in Shakespeare’s oeuvre as a ‘problem play’. 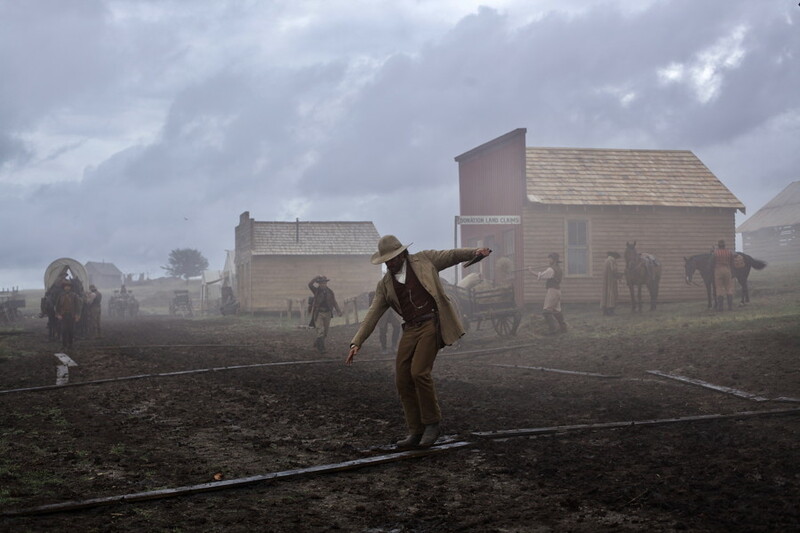 It is rarely staged these days, because of its mix of tones and genre elements that are hard for a contemporary western audience to take. But I found it actually worked far better in a Pakistani Islamic setting, because of the close parallels with the Elizabethan world of Puritan hypocrisy, corruption of power and sexual honour. Perhaps its most powerful theme is the struggle between mercy and justice: in the film governor and deputy perfectly embody the tension between homegrown Sufi traditions of tolerance and compassion, and the increasing infiltration into Pakistan of an extreme punitive Saudi Islamic ideology. A key problem for western audiences has traditionally been sympathising with the pious sister (a nun in the original play) determined to preserve her chastity, even at the cost of her brother’s life. The recent London Donmar Warehouse stage production succeeded by putting her story into the context of the ‘Me Too’ movement of women standing up to the abuse of power by males. In the film, her stance is even more credible not just because she’s defending her honour as a Muslim woman, but also like many younger, educated Muslim women these days, asserting a new knowledge of her rights within Islam. I was intrigued by the very closing shots, which created a subtler and less problematic ending for her than in the play, and gave me much food for thought. The play’s plot, though gripping, can also seem implausible at times and strains credibility in the second half with the infamous ‘bed trick’. In the film though, it’s far more convincing and easier to suspend our disbelief because the women’s faces are veiled. The few changes to the original made complete sense to me – for example, rather than couples being engaged, here they are Islamically married but missing documentary proof. And inevitably, to get past Pakistani censors, the script had to ignore many of the ‘low life’ characters’ obscure, obscene jokes from the original, which barely translate well even into modern English, the humour usually being lost on a modern audience. However, veteran Pakistani TV actor Nayyar Ejaz, as Qasim’s dissipated friend (Lucio in the play) still manages to capture his character’s comic irreverence and he gets his come-uppance through a visually entertaining gag. What’s more, replacing the play’s clownish pimp Pompey with the scene-stealing hijra (transsexual) character Gulzar provides more interesting, subversive comic relief. I saw the film at Square Chapel, Halifax, as part of a short festival of independent Pakistani film. We were lucky enough to have a Q&A afterwards with the creators, British-based producer Ahmed Jamal and his brother director/writer Mahmood Jamal. They are devotees of both Shakespeare and Sufi culture, and the film is clearly a labour of love: it took 8 years to make, was shot on a very limited budget in just 27 days, and it was a tough fight to get distribution in Pakistan, through HKC Entertainment. Thankfully, their dedication paid off eventually and the film is also due to be screened on Channel 4 and released on DVD. Mahmood, a poet who has written and translated a great deal of Urdu poetry into English, stated that he wanted to keep his English-subtitled Urdu script faithful to the poetry and spirit of the original. And he succeeds admirably, with many echoes, paraphrases and even direct translations of Shakespeare’s lines that work remarkably well in Urdu. Not surprising then that Rahm won Best Adapted Screenplay at the 2017 London Film Festival, as well as other Pakistani awards. Some online reviews have complained of a lack of depth to the characters. I understand why they would say that, but in my view, the script portrays their essential qualities economically. And as with other new Pakistani independent films, the roles are played convincingly by quality performers, many from their highly acclaimed TV dramas. A few other reviews have suggested Rahm is more of a TV than a cinema film. True, it’s not cinematically adventurous, and there are a few clichéd shots (one in the trailer below, unfortunately), but the new wave of independent Pakistani directors are still struggling with tiny budgets and access to technical expertise. 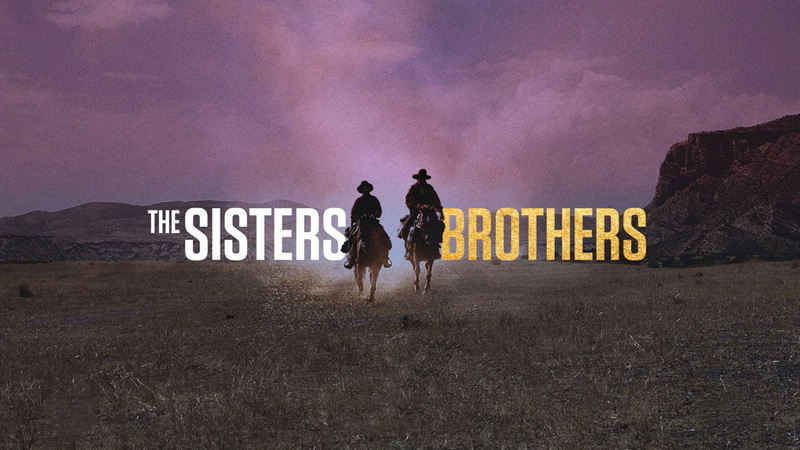 Above all though, the Jamal brothers have wisely focused on clear, intelligent storytelling. Like Shoaib Mansoor’s Bol (2011) and Josh (2011) – the other film in the Halifax season – Rahm’s central character is a strong heroine fighting for justice against abusive, powerful men, but the film style is more restrained. 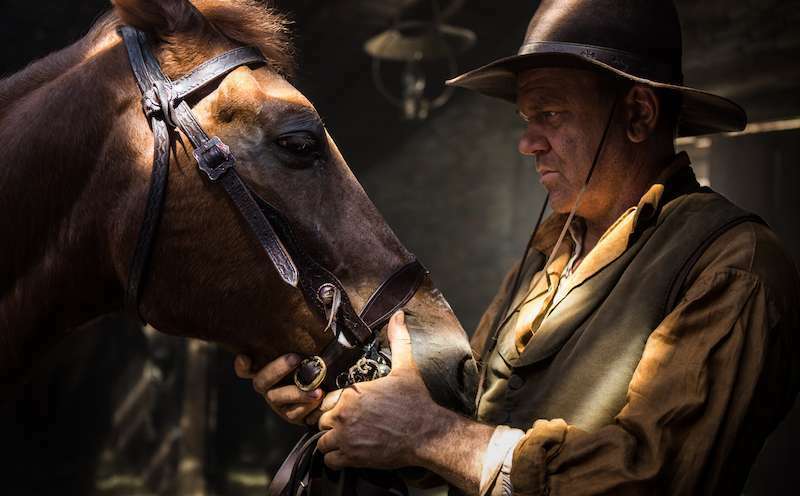 The focus on story makes for gripping viewing, and the film works for those who know the play well or those new to it. The audience I saw it with was about 50-50 white/Asian – all levels of Shakespearean knowledge and none – and judging from the spontaneous ringing applause at the end, everyone seemed to love it. In fact, it was all the better for the brothers’ decision not to go down the arthouse route, but instead to create a quality commercial film with dual international/Indian subcontinental appeal. Mahmood Jamal calls the film a ‘plea for tolerance from the heart of the Muslim world’, and one that should have much wider resonance in a world where some societies are increasingly drifting towards authoritarianism. Rahm makes a significant contribution to the recent Pakistani/diaspora film revival, but also works as a compelling human drama that anyone can enjoy. Mandy was Alexander Mackendrick’s only non-comedy Ealing film and by my reckoning it is one of the great films of British cinema. A highly intense melodrama, the film focuses on a congenitally deaf girl, played brilliantly by Mandy Miller, whose middle class parents fight over how best to care for her. Terence Morgan’s dad, Harry, is a typical male who wishes to hide from difficult choices whilst Phyllis Calvert’s mum, Christine, refuses to give up on their daughter. Jack Hawkins plays his usual stiff upper lip hero, a teacher who cares deeply for his charges. The script, by Nigel Balchin and Jack Whittingham (based on Hilda Lewis’ novel The Day is Ours), parallels Mandy’s disability with the failure of communication between the adults, including the repressed Harry’s parents. If my description of Hawkins above sounds disparaging, I don’t mean it to be as when he agonisingly starts to fall for Christine his pain is apparent. He has to fight Ackland, a trustee who cares more about appearances than the children, who plots his downfall. This man’s hypocrisy is subtly portrayed through his secretary with whom he’s clearly having an ‘affair’. (Funnily enough the actor playing the role, Edward Chapman, reminds me of Brexiteer Tory MP and entirely unself-aware idiot, Mark Francois). It’s designed to be a tear-jerker and Mackendrick’s direction intensifies this further; even the act of a child slipping their hand into an adult’s becomes laden with emotion. He uses expressionist devices sparingly but with devastating effect. As Mandy peers out of her backyard, a (almost) choker shot (cutting her off at the neck) emphasises her pained loneliness. Shadows veil characters as repressed emotions threaten to break out. A close-up of the back of Mandy’s head signifies her deafness. At one point the sound disappears to mimic Mandy’s experience and the silence is devastating. There’s a educational element in the film that never feels contrived: a new teacher struggles to deal with the children and the etiquette of ensuring deaf people can see a speaker’s mouth is seamlessly integrated into the narrative. Charles Barr, in Ealing Studios, suggests the film is about childhood in general in the post-war era and certainly the old fashioned characters, Harry’s parent and the wing-collared trustee, are shown to be in the wrong. Presumably this was the time that ‘children should be seen not heard’ was at last being challenged as compulsory education to 15 extended childhood. The scene when Harry hits Christine for her stubbornness reminds us that domestic violence was (almost) acceptable. A lawyer even suggests that although women often deserve it the courts frown upon it. That Christine later accepts she deserved hitting is doubly chilling and is not something that the film vindicates. Mackendrick directed only a few films and this, and Sweet Smell of Success, deserve the appellation ‘great’.